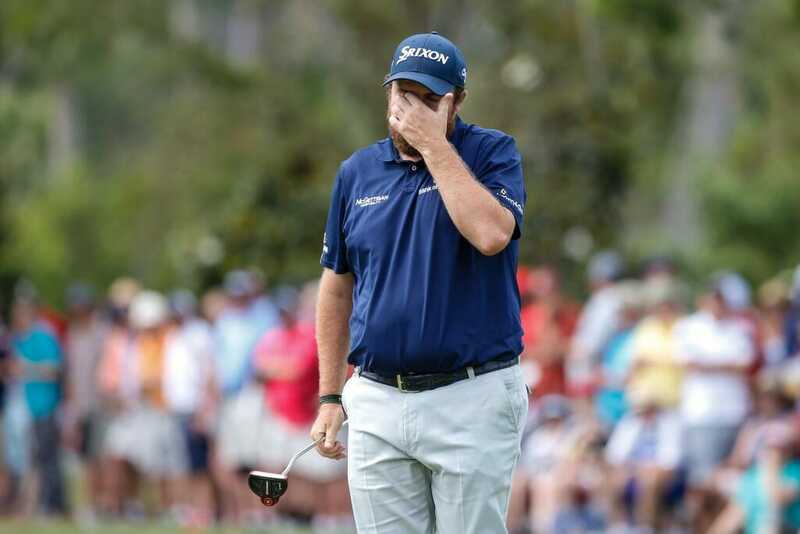 Shane Lowry found himself headed to Dubai for the final event of the European Tour season having paid a big price for a horror Nedbank Challenge weekend in South Africa. Lowry has seen his goal of securing a place into next year’s Open Championship at Royal Portrush dip dramatically after posting closing rounds of 74 and 75 for a distant share of 35th place at Sun City. The Clara golfer had been sharing fourth spot after two rounds but then dropped 31 places over the weekend in a crippling finish. Lowry had arrived in South Africa lying 41st on the Race to Dubai with the top-30 at the end of this week’s DP World Tour Championship assured of a Royal Portrush tee time. As Lowry boarded his flight to Dubai, he’d slipped two places to 43rd. It means Lowry now needs to finish inside the top-four on the Jumeirah Estates Earth Course if he’s to achieve his heavenly Royal Portrush end-of-season goal. Joining Lowry this week will be Rory McIlroy who again failed to impress by not managing to break 70 for a second event in succession. McIlroy did finish the best of the four Irish in sharing 21st place after posting a closing round of 71 that included a 14th hole eagle, but he also sandwiched a fourth hole triple-bogey in between birdies at two and three, just about summing up his inconsistencies of late. It means McIlroy will now be playing for pride in Dubai with no mathematical chance of catching Francesco Molinari for the European No. 1 crown. Meanwhile Padraig Harrington ended his season with a double bogey in a round of 69, only the second sub-70 score all week by the four Irish, to be ranked 85th on the Race Dubai. Greystones’ Paul Dunne will play his first DP World title having only just made the top-60 in 54th spot in Sun City after finishing with a 75. Dunne managed four birdies and three bogeys but also a pair of double-bogeys in his final round. The day belonged to England’s Lee Westwood who ended a more than four-year winless drought by posting a final round 64 and a 15-under total to capture a 24th European Tour title. The 45-year old fought back the tears in denying Sergio Garcia, who was second with a score of 70. “I’m a bit emotional, to be honest,” Westwood said. “You’re never sure whether you’re going to be able to do it again. “Until now my emotions have felt really under control all day which is what I’ve been working hard on. I was just trying to hit fairways and stick to my game-plan and hit it in the right places. Below are the highlights of Westwood’s 64.